One final delicious treat for this season. Patty and I adore our Peanut Brittle, it completes us during the holidays! Most everyone else in the family has to have their English Toffee. If you get a chance to make this, you’ll be in heaven, if not, book mark it for next year for a most enjoyable holiday treat. A couple of pointers: Make sure you have a decent heavy duty sauce pan, you will be an unsuccessful candy maker if you have a light weight flimsy one. 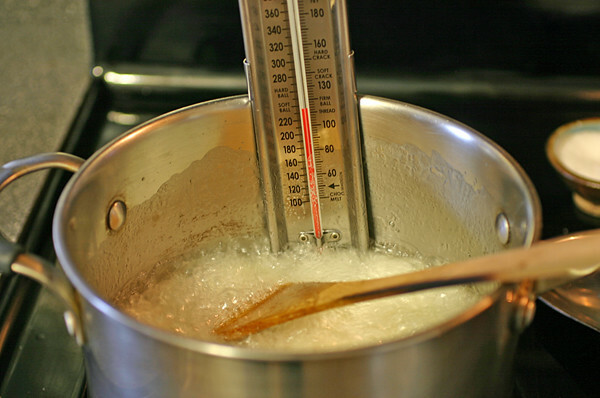 Get a candy thermometer that clings tightly to your pan, you do not want one that needs constant adjusting, candy is HOT, HOT, HOT and futsing with a thermometer is not only annoying but unsafe as well. Working quickly, spread the mixture on a large greased baking sheet. Cool compleletly and break into pieces. Store in an air-tight container. I LOVE Peanut Brittle. I didn’t stop munching on it until every last peanut was devoured. Oh my gosh Mary that wonderful photo reminds me of my mom! She made peanut brittle every year for the holidays. You are soooo right, the proper pan is a must along with a good candy thermometer. As fun as it always is, baking is a LOT of work too. I find cutting back made the season less stressful, and that always makes things more enjoyable! A mighty BIG HAPPY NEW YEAR to you too! 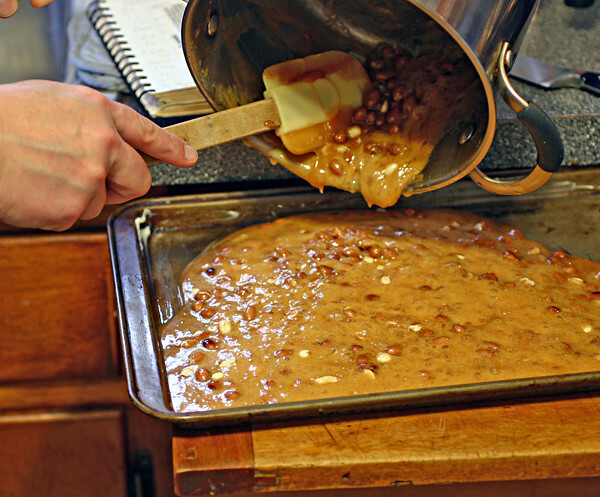 Oh my, it’s time to get a candy thermometer … I love peanut brittle! This looks delicious! Yours is so perfect (sure beats the thing I made in chemistry class in 11th grade)! I absolutely LOVE peanut brittle. I know that most people associate it with the holidays, but I think it should be eaten every day of the year! Great photos! That brittle looks really good. Are there any nuts we shouldnt use in a brittle? I’ve never used any other nut. I would assume, though, that whatever nut you choose should be raw (not toasted or boiled). This is amazing! I want to make some, but here we don’t have corn syrup. What else can I use? Maybe some honey? Thanks. Honey would work as a substitution. 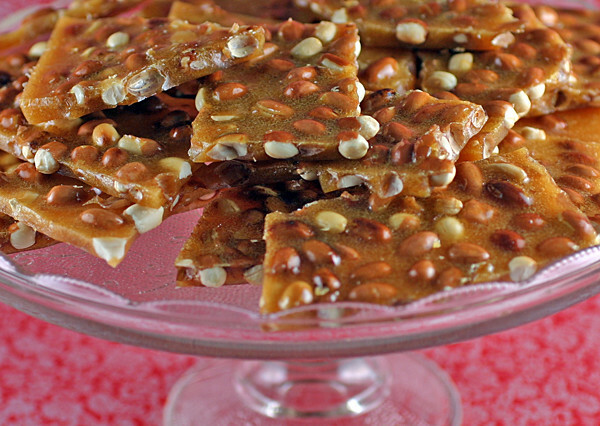 I love peanut brittle but have yet to try making it at home. I’ve made something similar with almonds but now I’ll have to try making the real deal. Thanks for sharing a great looking recipe. Yummy. I love good brittle. Have you tasted See’s? It is almost a bit soft. Just delicious. We buy a lb every once in awhile. I have tried to make brittle unsuccessfully. It always comes out too hard and crunchy. I want to know See’s secret! Do they cook it less? I guess. Until soft crack instead of hard crack? That is all I can come up with. This looks wonderful though. Thanks. 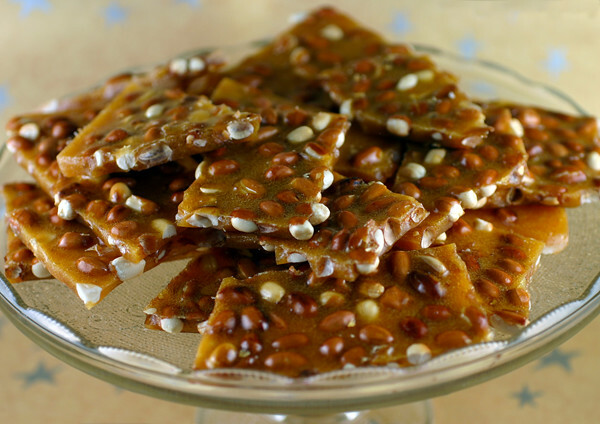 I adore brittle. This looks absolutely fantastic. I have never made it and have no reason not to. Thanks for passing along your recipe. I will bookmark it and look at it come next season.